The Gold Coast is notoriously known for the best waves in Australia. There is over 70 kilometres of beautiful coastline and 4 wicked point breaks that attract surfers from all over the globe. But if you are new to the local surf scene, we’ve created this little cheat sheet for your next surf trip to the Gold Coast. Burleigh Heads: Burleigh Heads is a favorite spot amongst locals who love to chase the ‘Burleigh Barrel’ and who favour consistent waves. Burleigh offers three distinct barrels that all connect to an incredible ride, we suggest only surfing Burleigh if you have previous experience surfing the waves. Duranbah Beach: Duranbah beach is coined ‘D-bah’ by the locals and is known as one of the most popular surfing spots in Australia. D-bah is so consistent that it has become a home for a number of international and professional surfing competitions. D-bah can become quite crowded at ‘prime surf times’ so we suggest only experienced surfers venture the waters. Currumbin Alley: Currumbin Alley boasts very consistent, world-class waves that are popular amongst beginner surfers. Currumbin Alley is the perfect spot to learn to surf as it is protected from southerly onshore winds. So, whether you’re a surfer with years of experience or a beginner just starting out, Currumbin Alley is a great place to get salty. Rainbow Bay: Rainbow Bay has a great little beginner wave that has one of the longest right-handers in the world. The Bay is a perfect spot for families, with a great sheltered swimming area close to shore and a coastal boardwalk up to the Point Danger viewing platform. Rainbow Bay provides the perfect balance between fun and safe for families and surfers alike. Snapper Rocks: Snapper Rocks is informally known as the ‘Superbank’. 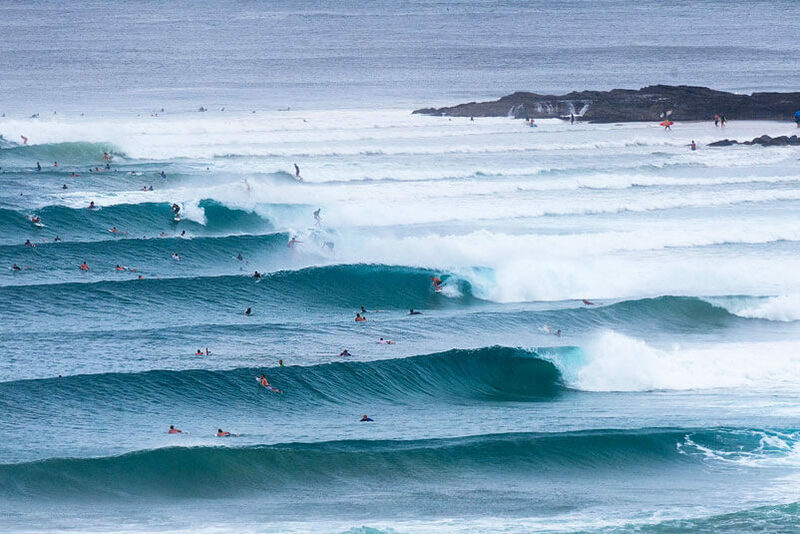 The Superbank has been formed from the combination of Kirra, Rainbow Bay and Duranbah and is considered a ‘must-do’ for keen surfers. The Superbank’s break is home to the annual Quiksilver pro and is a must see event for anyone driving to the coastal town of Coolangatta.